Textile net for 8ft Oxygen 250 trampoline. 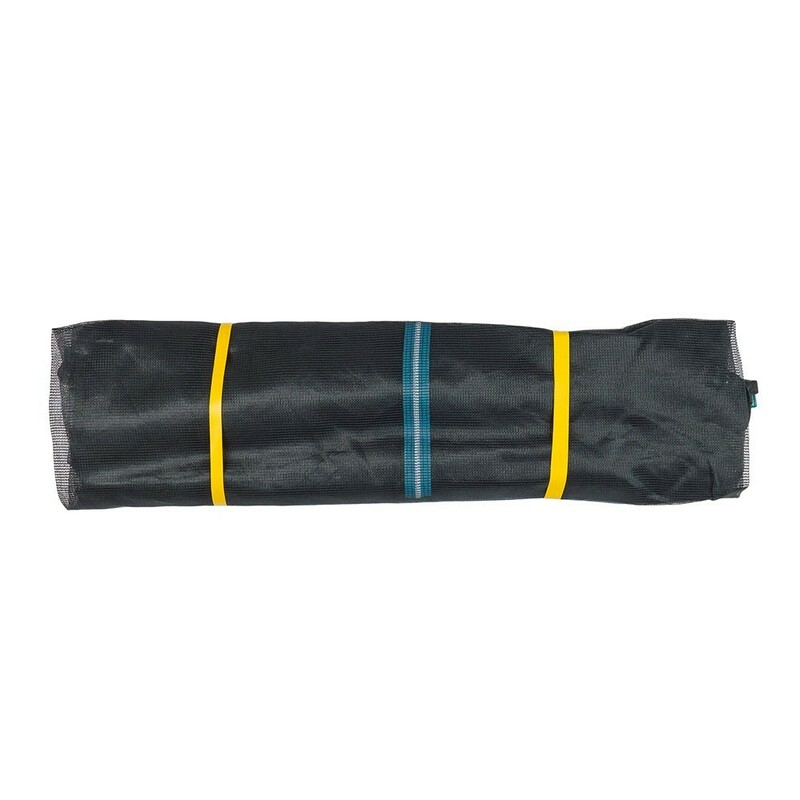 If the safety netting on your Oxygen trampoline is torn and it is impossible to mend, we sell a replacement net which is adapted to your trampoline. - Your trampoline should measure 8ft (2.44 m) in exterior diameter and have six net posts, which correspond to the three double feet on your trampoline. The net posts should be curved towards the inside, as the diameter of this net is smaller than 2.44 m, so if your net posts are straight this enclosure will not be adapted. - This enclosure for 250 trampolines is made from polyethylene, a rigid and solid fabric which has been designed with fine netting preventing children's fingers from being able to go through it. This enclosure will break even the worst falls, as it has a density of 130 gr/m². 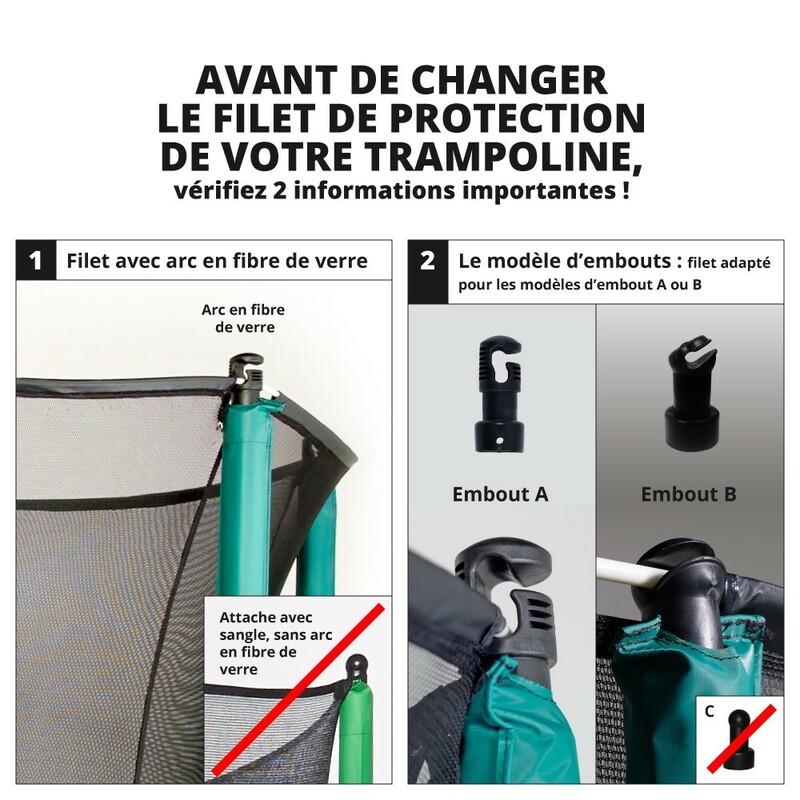 - It is very resistant and will break the falls of your young children, who will be able to get up onto the trampoline using an L-shaped door and a zip which can be closed from the inside. - In order to attach this enclosure, it is essential that a fibreglass rod system is used at the top. If you have any doubts, please do not hesitate to look at the Oxygen 250 model on our website. At the bottom, elastic straps with plastic hooks ensure that the net is correctly held onto the springs, but it is important to remember that the net falls between the jumping pad and the frame pad. 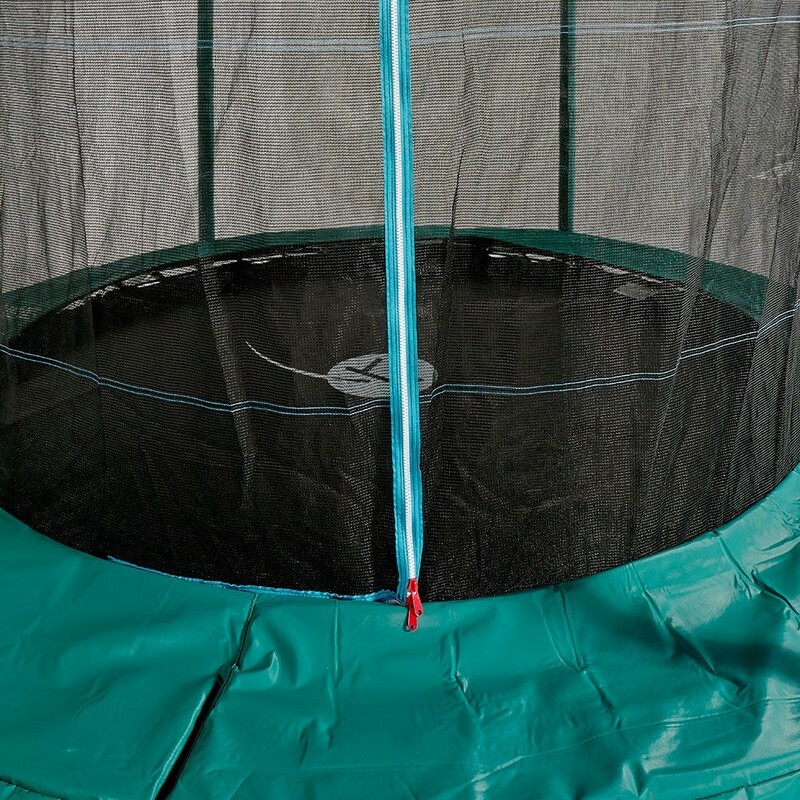 - In order to maintain perfect tension of the enclosure, you should also check that the framework of your trampoline is 68 cm high, and that the net posts are 2.10 m tall. If your measurements are different, please contact us.